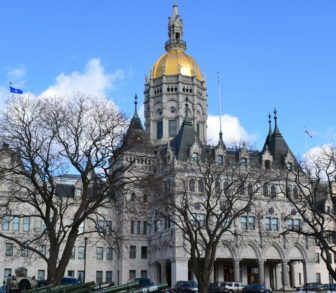 Connecticut legislators are expected to have nearly $2 billion in additional revenue available to balance the next state budget, a bonanza not seen since before the last recession, according to a new report Monday from state analysts. But to get at most of that windfall, about $1.5 billion tied to surging income tax receipts from investment earnings, lawmakers must suspend or otherwise get around the new “volatility cap” they created to force better savings habits. The consensus report from the legislature’s nonpartisan Office of Fiscal Analysis and from Gov. 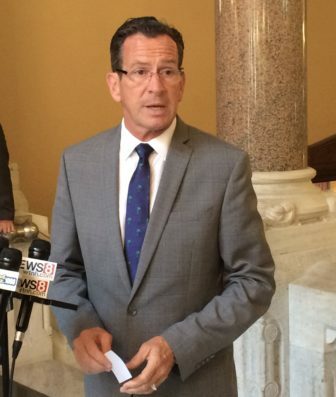 Dannel P. Malloy’s budget staff concluded General Fund revenues this fiscal year will top $19.34 billion. But that number includes almost $1.3 billion in unanticipated income tax receipts tied chiefly to capital gains and other investment earnings — a bonus that must be deposited into the emergency reserve, commonly known as the Rainy Day Fund. 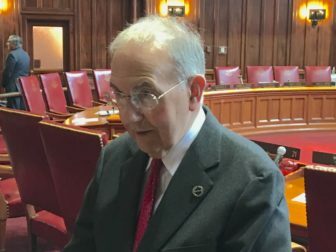 Combined with the $212 million already in the reserve, Connecticut should have $1.5 billion socked away when it closes the books on the 2017-18 fiscal year — almost four times the size of the projected $382 million deficit. Even after that shortfall is paid off the state should have more than $1.1 billion in the bank. The largest reserve in state history, just under $1.4 billion, was drained by Gov. M. Jodi Rell and the legislature in 2009 as Connecticut slipped into The Great Recession. Rell administration also left behind nearly $1 billion in bonded operating debt that Connecticut finally paid off this year. Analysts also decided that a smaller portion of this spring’s robust income tax bonanza was not due to one-time circumstances and will happen again in 2019. The new report assumes an extra $410 million in investment earnings-related receipts in the 2018-19 fiscal year. But these funds also are earmarked for the reserve, and not available for use in the next budget. The report assumes these income tax surges will slow considerably after the 2018-19 fiscal year, however. Still, there is some money in the new report legislators could use right away. Analysts concluded that revenues not tied to capital gains — and not subject to the volatility cap — should perform better than expected next fiscal year. A modest gain was projected for income tax receipts tied to paycheck withholding and a significant bump was forecast in federal grants. Together these provide another $431 million in 2018-19. And unlike the capital gains-related income tax receipts, this revenue growth is not subject to the volatility cap and is available for lawmakers to use. Some of that $431 million in projected growth for next fiscal year, about $150 million, is a one-time event involving delayed federal Medicaid payments originally anticipated this fiscal year. Still, the full $431 million, combined with projected year-end reserve of $1.1 billion and another $410 million in extra income tax receipts in 2019 tied to capital gains adds up to more than $1.9 billion that legislators, in theory, could tap. Republican legislators have suspected for more than a week that Democrats were hoping to tap these funds, noting the Democrats’ proposed adjustments for the next state budget had a built-in hole of about $375 million. Republicans have some problems with their own proposal, even though it would spend about $400 million less than the Democratic plan. Republicans would deposit two-thirds of the $1.3 billion surge in income tax receipts into the state’s two cash-starved pension funds. But they also would reduce the original base payments into those funds by a total of $40 million.